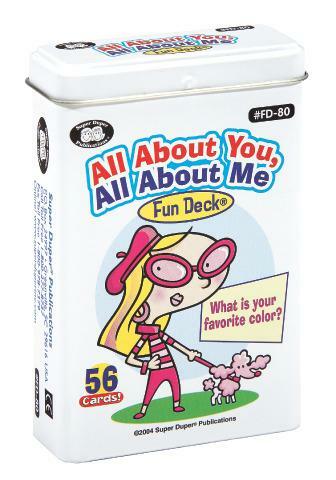 Children can use the 56 question cards to talk about themselves and learn about others. The deck includes basic questions, open-ended questions, content cards and game ideas. Stored in a sturdy storage tin. Dimensions: L: 2.5" x W: 3.5"